Architectural firm Penda, in collaboration with car manufacturer Mini, have unveiled a new small living concept, the "Urban Nest", for a micro-living event in Shanghai. Backed by BMW, the MINI Living concept is both a marketing strategy that aligns with their philosophy towards automobile design and another example of a car manufacturer diversifying into the world of urban development. MINI Living first launched in 2016 creating a series of projects that address the "creative use of space" and how to accommodate more people in an increasingly small footprint. Beijing-based Penda's Urban Nest concept is a modular housing system based on prefabricated modules that each have a footprint of three square metres and can be transported on trucks before being assembled on site. To transform the concept into a real life setting, Penda and Mini will be partnering with Chinese developer Nova Property Investment Co, redeveloping a disused industrial complex into apartments, offices and leisure spaces. 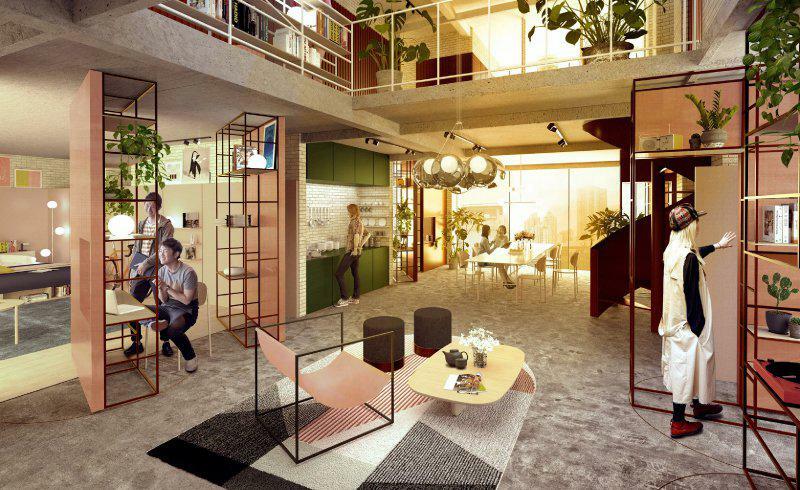 The project will encompass both co-living and co-working within the same building, testing the relationship between two hugely popular components of the co-sharing economy and the built environment. Aimed at young professionals and independent creatives, the Urban Nest seeks to provide the answer for those who wish to live and work within cities in which housing demand far outstrips supply -- an issue which is particularly pertinent in a country like China that is currently undergoing urban expansion on an unprecedented scale. “Imagine a building that can easily adapt its geometry to any urban void and turn it into an inhabitable place - that is where the design idea for the Urban Nest was born,” Mini Living creative lead Oke Hauser said. Based on a 3x3-metre module, the urban nest was designed to be easy to assemble and reassemble and offer endless possibilities for spatial configuration. Every module can be combined with each other or extended according to the individual requirements of the inhabitants. “The modules integrate spaces to live, work and play for an inspiring collaborative life,” Hauser said. 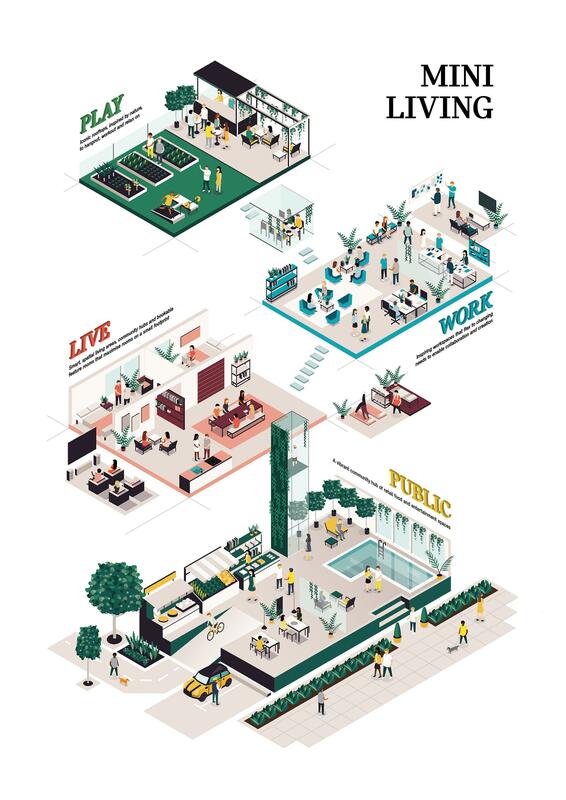 “Mini Living Urban Nest becomes more than just a residential building -- given its open and flexible character it invites the public in and becomes an urban micro neighbourhood that beats at the heart of the city. 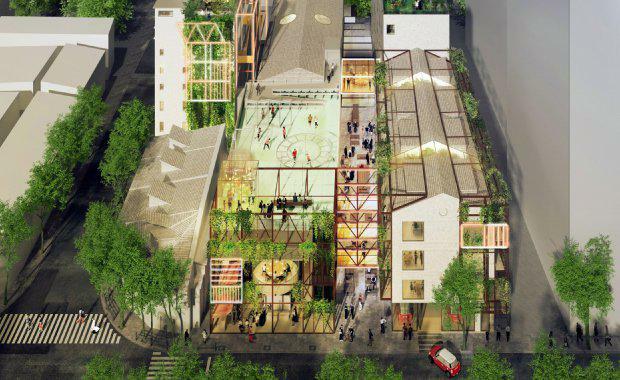 “Inspired by the rich history of effective use of space in Shanghai dense traditional neighbourhoods Mini Living Urban Nest connects the past with the future by the creative use of space. Construction is expected to commence on the Urban Nest project before the end of the year.